Who doesn't love a fun "Before" & "After" makeover? 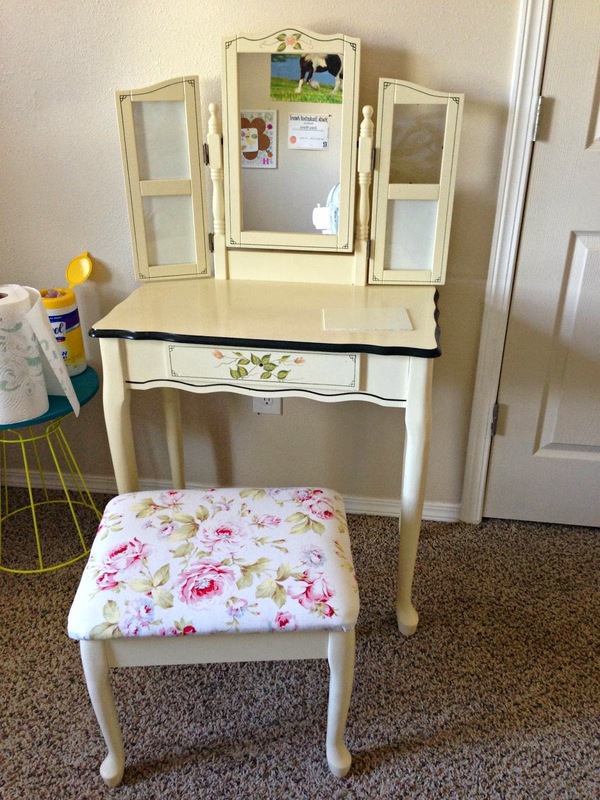 I was recently given a really girly, pretty vanity. Free is awesome. 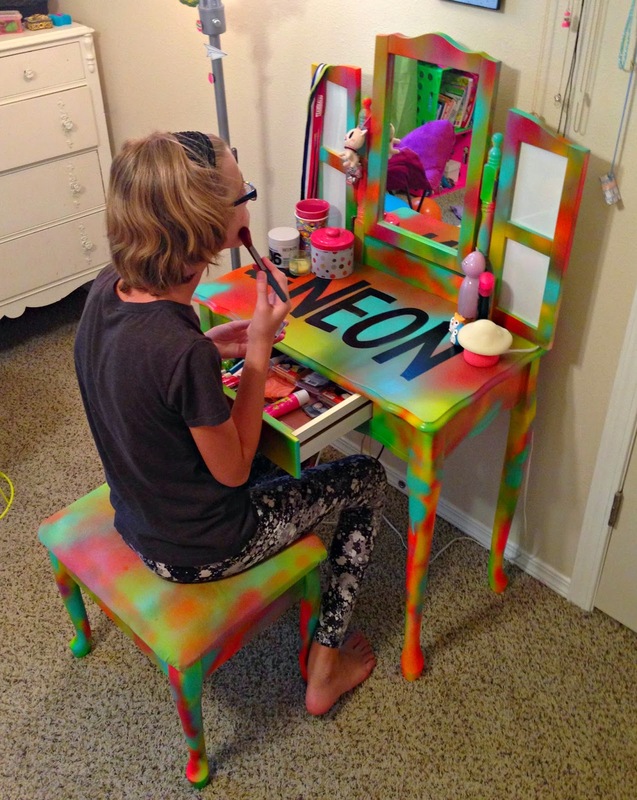 Zoey wanted the vanity in her room. But it was too girly & pretty for her tastes. 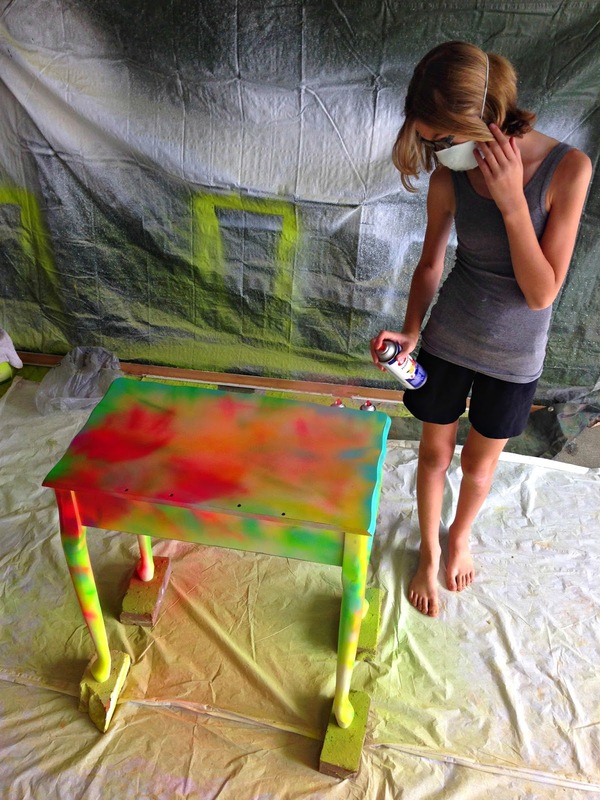 She began to ask questions like, "When are you going to paint this, mom?" Actually, it was just that one question, repeated over & over & over. I decided to tag team with Zoey for some DIY mother/daughter fun. I felt like it was important for her to see how much goes into a project like this. It consumed our whole weekend. She did get out of the messiest of the jobs, though: sanding. While she was in school on Friday I did that horrible task alone. But I complained & moaned about it when I picked her up, just so she knew how much of a chore it was. That vanity separated into 14 parts. Each part was given a good wiping down, & then we taped off areas that we didn't want painted before we whipped out our cans of spray paint. Many coats of neon later, it was satisfactorily bright. Then we lightly sanded with steel wool, removed the tape, wiped everything down again, applied a clear varnish, reupholstered the seat, washed the mirror & glass, & assembled everything together. It felt SO GOOD to work on a project like this. 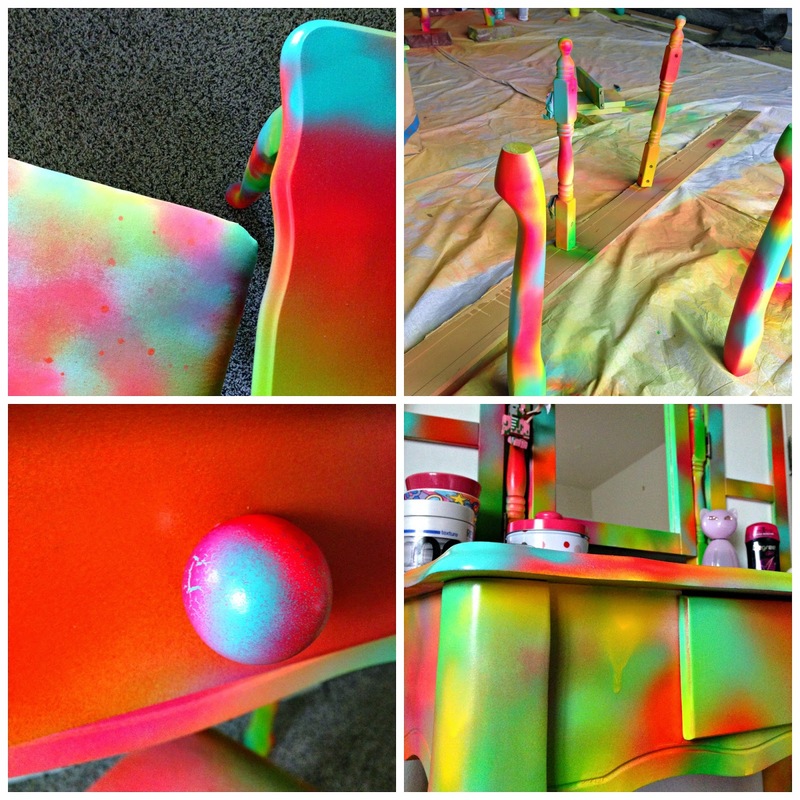 It's been years since I've had some fun with paint & furniture. My mom & I used to do this sort of thing all the time. 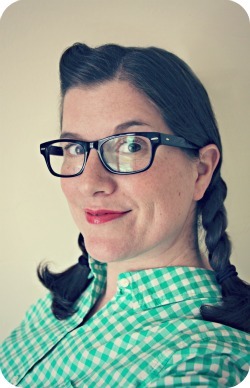 We would go junking & thrifting & learn different paint techniques & we were totally passionate about the latest decor mags & watching the best show on TV at the time: Trading Spaces. 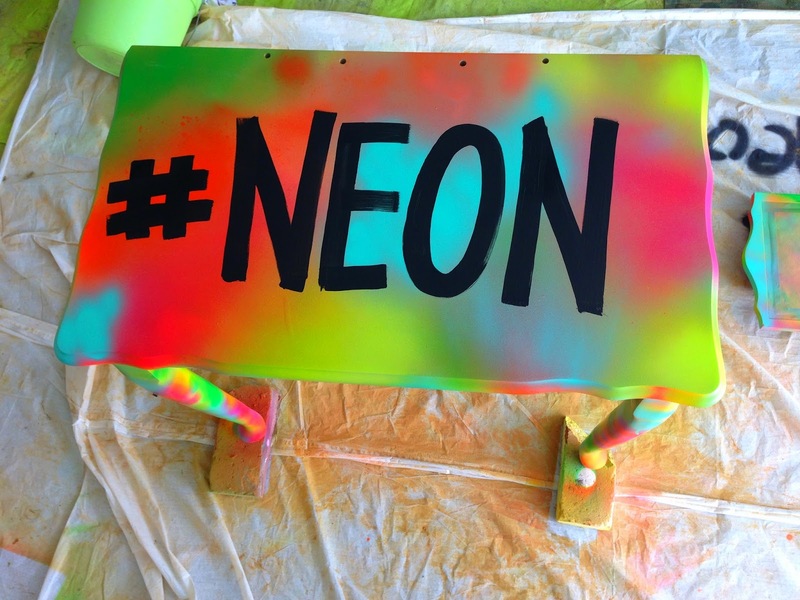 The idea to do the #NEON was all Zoey's. I was actually hesitant of the idea at first, but now I #LOVE it! 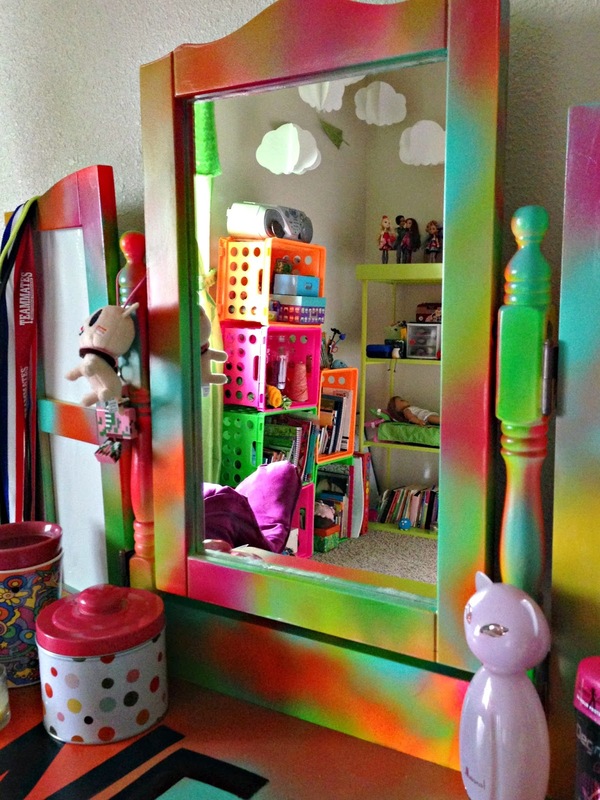 Zoey is hooked on the neon theme, & I have begun to help transition her room from "you-were-just-a-sweet-baby-like-yesterday" little girl to "where'd-my-baby-go" tween. Zoey has been so good at giving up things. I'm the one having a hard time. She doesn't want the little ballerina picture anymore that I picked up at a thrift store that's been in her room since she was born. Or the giant canvas I painted of our cat missing half of one of its ears, who is no longer with us. (RIP King Louie.) She has given up some of her Barbies & half of her doll stuff. 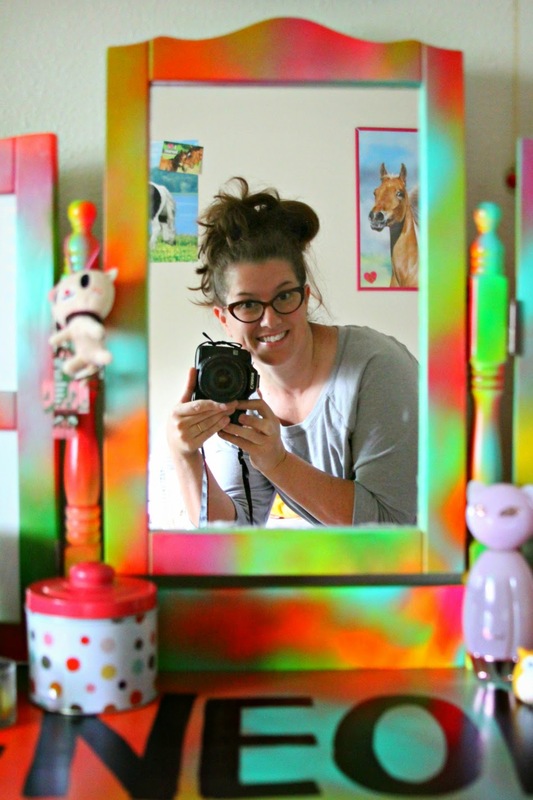 She no longer wants the messy, yet adorable, paintings she created as a toddler hanging out with her newer, cooler things. 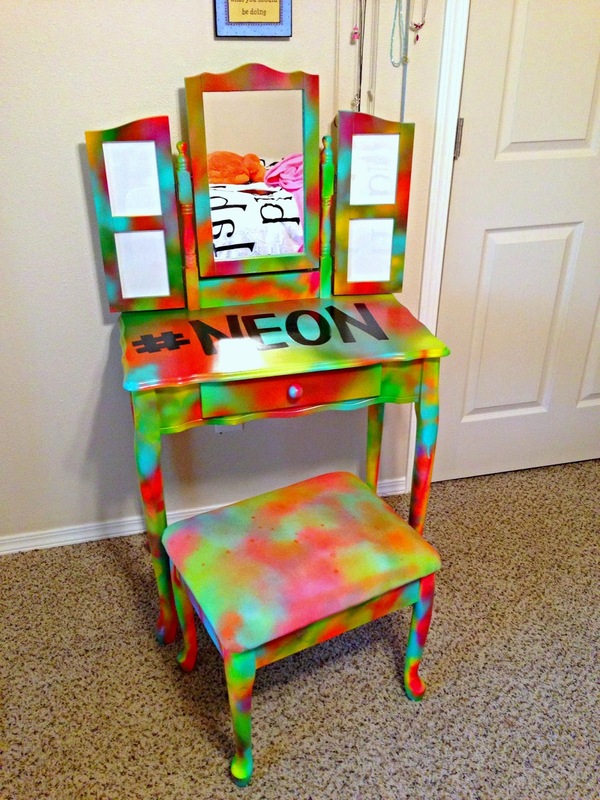 This vanity is now a super fun addition to her space. And, oh my golly goodness! Don't you love that "blah" bedding?? It was a birthday gift to Zoey from my mom. 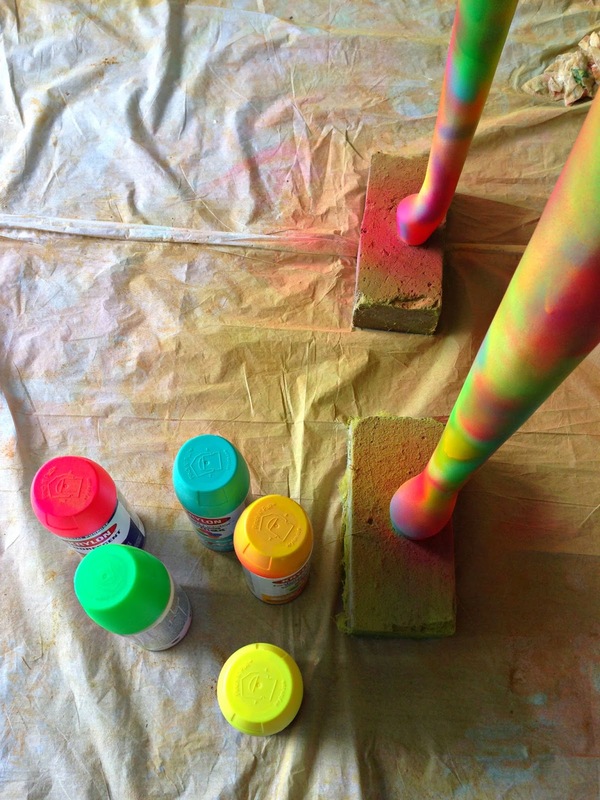 I have already scoured Pinterest for some fun art projects. We can't wait to switch out the lamp & bedskirt, add fun pillows & throws to the bed, do something fun to an accent wall, etc. 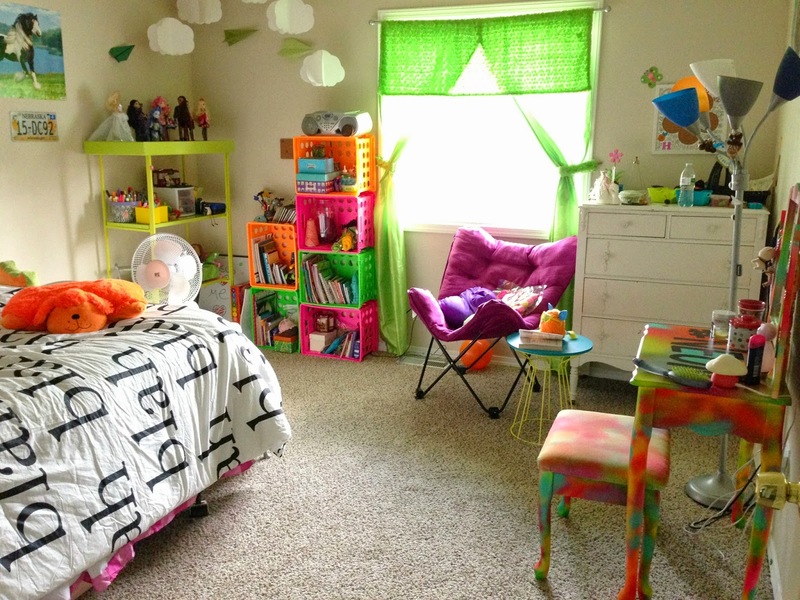 When the girls were babies, I did their room all cutesy. But since then (which is 10 & 12 years ago), they have never really had a "theme". So, it's fun to be able to give them a bedroom of their wishes, granted upon request. And by that, I mean we use every holiday in the calendar year as an excuse to add one more piece, or buy supplies to create something special, & then call it their "gift". Little sister has now begun to ask me, "When are you going to do my room, mom?" She has decided on "Woodland" decor. Seriously!? If you know me, you know that I love everything owl & fox & deer & woodsy. You will not be able to hold me back, people.